The U.S. Food and Drug Administration is warning the public about kids coming in contact with some key ingredients in eye drops and nose sprays. Since the key ingredients in both products work to compress blood vessels, it could pose a severe threat to small children. 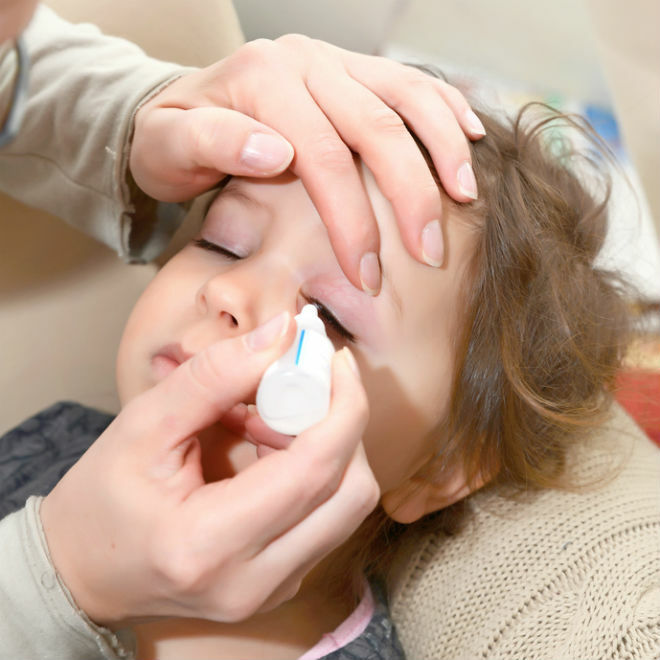 The FDA said children under 5 are at risk for severe health complications from accidentally ingesting eye drops or nasal sprays. The over-the-counter medications contain ingredients: tetrahydrozoline, oxymetazoline, or naphazoline, which can be in many generic and brand name products. The FDA claims there have not been any deaths among kids; however, serious events requiring hospitalization have occurred with a dose tinier than a teaspoon. Yen said the same warning applies for pets. She said since these products do not come with child-proof packaging, you need to be extra cautious about keeping these in purses, on tables, or anywhere within reach. The FDA has a list of specific brands that are harmful to children on the FDA website. If a child accidentally swallows these eye drops or nasal decongestant spray, call the toll-free poison help line at 1-800-222-1222 and seek emergency medical care immediately.